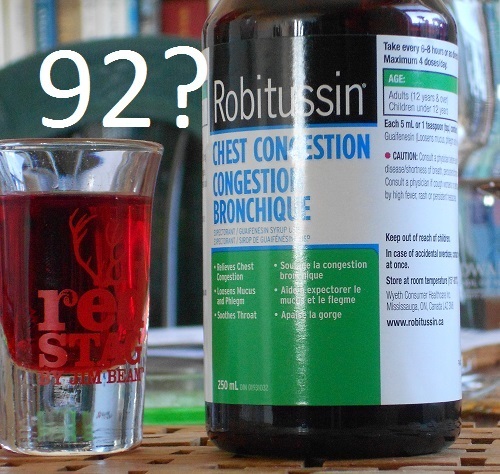 Robitussin gets 92 from Wine Spectator! So what exactly does a wine rating mean? Way back in the ’80s, Robert Parker took to ranking his beloved Bordeaux numerically. Consumers loved the idea and now it is everywhere. Parker is one man, and he focused on the 8000 or so (!!) vineyards of Bordeaux. In my casual reading of his reports I have found him consistent and fair. I would absolutely buy a Bordeaux Mr. Parker rated a 90. His taste in wines is slightly different from mine, but he has tremendous knowledge and judgement. I trust him. But he is ranking one Bordeaux against another. Lately he and his employees took to ranking well outside his original fief. This raises a question whether a 92 awarded to an Australian Shiraz is comparable to a 92 blend from Pomerol. So far so good. Parker et al. clearly think they can identify quality in vastly different styles of wines. I buy into this rating system and the wine critics’ judgements, in so far as I know what to expect when I open a Rhone red like Coudelet or a Bordeaux, or a Shiraz. I was getting a little queasy over this extension of the ratings as Rhone wines and Oz wines do tend to be a bit different despite the Rhone being the original inspiration to the Australians. Then I encountered Pinot Noir and the Wine Spectator ratings. Pinot Noir has been around forever from Burgundy. It makes a lean, slightly earthy wine with a surprisingly light palate. (Aged Bordeaux can be equally refined, but it takes at least a decade to get there.) The explosion in popularity of the varietal happened when the movie Sideways came out, although it was headed toward fame before that. Vineyards ripped out their merlot vines and started planting pinot noir. The resulting popularity has resulted in several wine styles being developed. To be specific you can buy pinot noir made in California that is thick, dark and very very fruity. 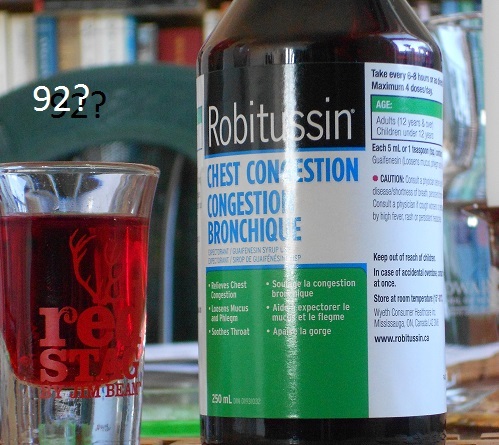 I refer to such wines as cough syrup. IF the wine was made to be cellared, like say a Pomerol, then you need that huge extraction and will bottle quite an intense thick wine. You intend the wine to fine down, throwing sediment, becoming much less viscous. The tannins will mellow over time due to chemical reaction. However the Californian style is definitely meant for immediate consumption. The tannins are racked into submission with an enthusiasm to which Torquemada could only aspire. This usually means the very obvious presence of lactones from the oaking regimen in the palate of the wine. People should be free to drink what they like, and of course they will pay for this privilege. Popular wines in this current sweet red style are selling at a pace that has left even the marketing machines at the big wineries shocked. I am amazed at the prices these wines command – typically about 1/3 more than a ‘normal’ red wine – but that’s the economics of marketing for you. But this creates a particular problem for me with rating systems. What does a 92 mean? To be specific here, the Wine Spectator rates Pinot Noir from all over the world in a wide variety of styles. It rates Meiomi a Californian Pinot in the new style and Domaine D’Eugenie both a 92. How do I square this circle? If I am to use WS ratings then I should be able to pick up a pinot noir rated a 92 and know what I’m getting. In fact I have actually no idea what I’m getting… the contents could be cough syrup or a lean elegant Burgundy. This entry was posted in Musings, Wine and tagged bordeaux, Burgundy, pinot noir, Robert Parker jr., robitussin, Wine Spectator, WS. Bookmark the permalink.